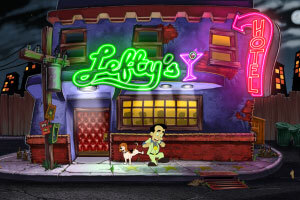 Leisure Suit Larry in the Land of the Lounge Lizards is the first game to feature Larry Laffer, a desperate 40 year old male looking to lose his virginity in tie city of Lost Wages by the end of the night. His wild and lustful adventures to score always tend to leave Larry just short of his goal, and the comedic twists will have you rolling on the floor. The graphics, at the time of the initial release, were very pixelated, but helped give the player a visual depiction of the story. It was the quick wit, in-game jokes and humorous plot twists that drew a large audience. The game spawned numerous sequels, and the original version had two separate enhanced remakes (allowing you to play the game with much better graphics, due to improved technology). Due to the adult subject matter, the game was meant for adults only. This site is a shrine dedicated to the original game (and it's remakes). This site contains details about the characters you interact with, the items that help achieve your goals, and walkthroughs on how to complete the game. We've also created several desktop items, including wallpaper, background, icons and sounds based on the game. Enjoy the site. Note: Due to intellectual property and copyright, we do NOT have the game available for download. 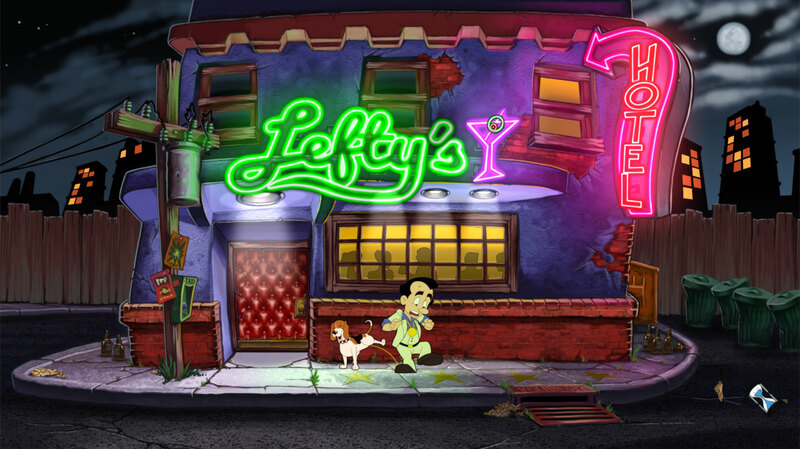 Decorate your desktop background with wallpaper images from Leisure Suit Larry.